Posted on June 30, 2017 by Mirabella S.
Farewell to Manzanar is Jeanne Wakatsuki Houston’s personal, non-fiction account of life inside the Japanese internment camps that the US government put in place during World War ΙΙ. Although many Americans acknowledge the injustice that was done to Japanese Americans during the period that they were relocated to camps along the western interior of the US, less Americans understand the full truth of what life was like inside these war relocation camps. In Farewell to Manzanar, Wakatsuki tells the story of her family’s time in Manzanar, their assigned camp, as well as detailing the repercussions that this experience had on her family. One of the most interesting parts about Wakatsuki’s story is that she puts a great deal of focus on her life pre and post war. She does not talk only about her family’s incarceration, but also of their home before the turmoil of the war. She laces the chapters with memories from before her time in Manzanar. Wakatsuki also taps into the memories of her family in chapters where she is not the narrator. This story is not simply one about war; it also talks about a young girl growing up and discovering her interests in a place far from her home. 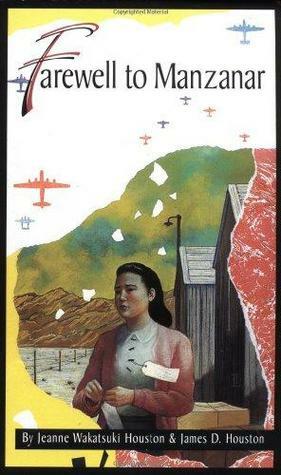 Farewell to Manzanar is available for checkout from the Mission Viejo Library. Posted on September 16, 2014 by Angela J. 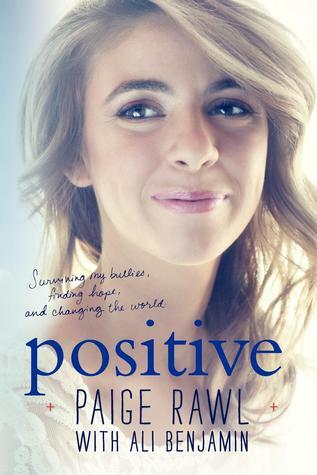 Positive is a memoir by Paige Rawl with Ali Benjamin that tells the story of Paige’s life growing up being HIV positive since birth. Positive was a unique book choice for me as I typically do not read memoirs; in fact, I usually avoid them like the plague. 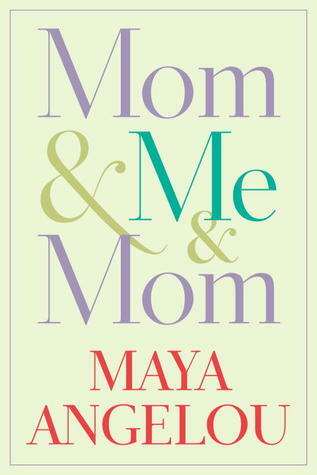 My problem with memoirs is that they are often written by people that while they have experienced something unique in their life are just ordinary people, not writers. It’s not that I don’t appreciate the stories told in memoirs, I do, it’s that too often they feel like assigned reading that I just can’t get through to matter how much I may want to. I had this problem with I Am Malala: The Girl Who Stood Up for Education and Was Shot by the Taliban, it wasn’t that I didn’t appreciate her story, it was just clearly not written by a writer, and I just couldn’t get through it, despite the captivating story. Still even with my past difficulties getting through these types of book something about Paige’s story interested me enough to give it a go, and I am so glad that I did. The novel starts with a preface that gives a quick overview of Paige’s story. After that the novel is divied into four parts, with an epilogue after. I really enjoyed Paige’s story, it covers her life from a very early age present day. The parts depicting the early parts of her life were very intrging to me. Here was a young child with a very serious medical condtion who had such an air of icconce about her. It was intesting that HIV and all of the medical things that come with the condition were so normal to her. At first I thought that there was no way that she could really not have a sense of her life being diffrent from most people’s, but as I read on, I realized that it really was just her life. She had to deal with it from the moment that she was born- it wasn’t this big dramatic thing to her. At one point she makes comparisons to how everyone has something- bad eyes, bad knees, astma and so on- and how HIV was just what she had. I was really impresed with this thinking from someone so young. Another aspect of her life that really intrigued me was her experience in beauty pageants. Having never participated in them myself, I suppose I can’t really judge them, but I have never really seen them as a positive thing or a thing that young children should take part in. After reading her experience though, I gained another view point. For Paige, pageants were a very heatlhy thing that impacted her life very positively. While I can’t say that I support pageants, it was definitely neat to get another viewpoint on them. Paige’s experiences at a stress center as well as a camp for kids with HIV were very intresting and the people were depicted in a way that almost made me feel like I knew them. Of course other parts of her life that aren’t necessarily the most exciting thing, like school, were covered, but even that was interesting seeing it through Paige’s eyes. Overall Paige’s story is a wonderful one full of hope and triumph. I highly recommend it. 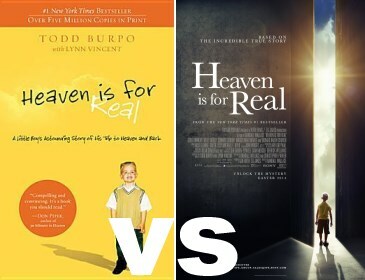 Posted on June 23, 2014 by Danielle L.
Heaven is For Real is a book written in 2010 about a little boy named Colton Burpo by his father Todd Burpo. When Colton was almost 4 years old, he became very sick with appendicitis – and almost died. However, he didn’t. All his doctors and nurses thought this was a miracle in itself because he was that sick. Even more miraculous, Colton later told his parents that he went to Heaven during his surgery. That’s right. Colton went to Heaven! Now one’s reaction at first would be “What? No way! Impossible!” and then be flooded with questions that they just have to ask. Even though Colton’s dad is a pastor, he too felt this way. Mr. Burpo’s book takes you through the impossible yet true journey of his little boy’s experiences as told by Colton to him. It really is extraordinary, and the book itself is definitely worth a read. 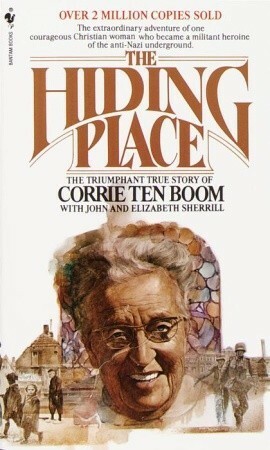 Especially since it’s a true story about Heaven – a topic many of us wonder about and not many people know much about. Now recently, the movie based on the book came out. It’s never expected that a book-to-movie-adaption will be exactly the same as the original book (even the Director’s Cut, which is what I saw). But I did love this movie, and it stayed very close to the book! I suggest watching the movie first, as it’s a type of movie that leaves you wanting more, and the book is the perfect solution for that as the book goes into much more detail! As for the movie itself, I think it’s really good! It seems harder to believe though versus reading the book. Also, some of the special effects are a little cheesy and made the experience harder to believe. The movie makers changed/unincluded some significant things from the book which I think that if they would’ve kept those things the way it had actually happened, it might’ve been more emotional. I definitely recommend the book over the movie. It comes straight from Colton’s dad, and everything in it is true. But I’m not ruling out the movie, it was very good as well! 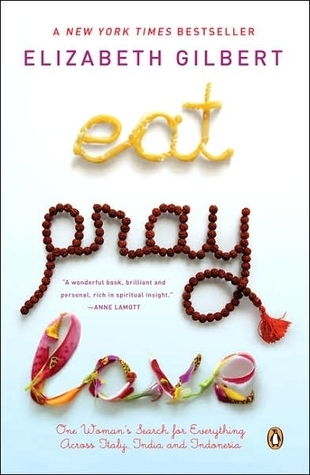 Posted on May 21, 2014 by Sara S.
Eat, Pray, Love is a memoir written by Elizabeth Gilbert which captures her journey across what she calls “the three I’s.” After a messy divorce with her first husband, Gilbert decided to take a journey to Italy, India, and Indonesia. In each of the three countries she made a specific goal; in Italy, to eat and learn the culture surrounding Italian food, in India, to learn about spirituality (hence the word pray), and finishes her year abroad in Indonesia, where she will experience love. 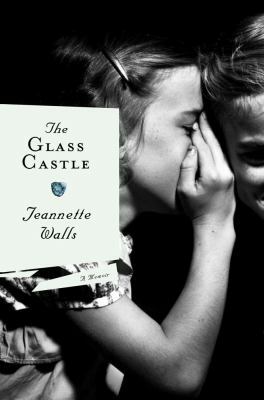 I loved the book, and although it starts off slowly, you will fall in love with the book once her trip begins.